Many travelers to Chile are surprised that they have to pay an entry fee shortly after getting off their plane in Chile. You may hear this fee referred to as a reciprocity fee, entry fee, or even a reciprocity tax. Who has to pay the reciprocity fee? This entry fee, called the Entry Reciprocity Fee, is required of all citizens of Australia and Mexico. When do you pay the reciprocity fee? After you have gotten off your plane, you will need to pay the reciprocity fee before proceeding to immigration control. 4. Be screened through customs and the Servicio Agrícola y Ganadero (SAG) or Agriculture and Livestock Service. How much is the reciprocity fee? Keep in mind that these prices fluctuate with exchange rates so you may pay a little more or less than this. Other country’s citizens don’t pay the reciprocity fee. How can I pay for the reciprocity fee? 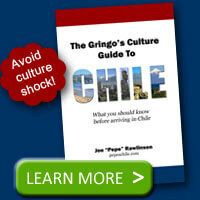 You can pay the Chilean reciprocity fee with major credit cards or cash. Do I have to pay the reciprocity fee every time I visit Chile? The receipt for payment of the reciprocity fee is attached to your passport. On subsequent visits to Chile, you don’t have to pay the fee again for the life of your passport. When you get a new passport, you’ll have to pay the fee again. 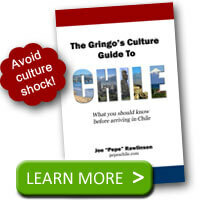 Why does Chile charge the reciprocity fee? At the name reciprocity implies, Chile charges citizens of countries that charge Chileans for visa processing. While that may be the official explanation, the money they collect isn’t used to reimburse Chileans that pay out of pocket for their own visas to these other countries. So this fee does seem to be a profit center for the Chilean government. Although granted, it is not as big a money maker as the copper industry. Hey pepe 🙂 thx this was very comforting information. I am an australian visiting family in chile. I have been desperately trying to locate this reciept that says i can stay in chile for 3 months…i think its the visa one…the one with the stamp. I have misplaced it, Do you happen to know if i can redeem the reciept and where i can go to do it?…i been led to understand that if i don not present this small stamped paper i will have to pay the sum again. What if I only transit in Chile and stay there less than 24 hours? Do I still need to pay? If you leave the international gates and try to go through immigration, you will have to pay the reciprocity fee. This would be the case, for example, if you are staying at a nearby hotel overnight. So unless you have an almost immediate connection to another outbound international flight, you’ll have a hard time avoiding the fee. By bus, we leave from El Calafate arriving in Puerto Natales and later fly from Natales to Santiago. 2 days later we fly to Buenos Aries. We are Cdn and are trying to understand if, where, and when we have to pay the reciprocity fee. I have also seen reference made to a “tourist card”. Is this evidence of having paid the $132 reciprocity fee? Any insights are appreciated. Terri – yes, all citizens from the countries listed above have to pay the same reciprocity fee since it is good for the life of your passport.